Maurice Merleau-Ponty (1908-1961) was one of the most important philosophers of the twentieth century. His theories of perception and the role of the body have had an enormous impact on the humanities and social sciences, yet the full scope of his contribution not only to phenomenology but philosophy generally is only now being fully recognized. 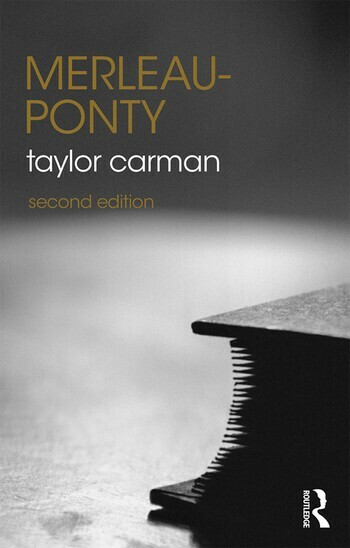 In this lucid and comprehensive introduction, Taylor Carman explains and assesses the full range of Merleau-Ponty’s philosophy. Beginning with an overview of Merleau-Ponty’s life and work, subsequent chapters cover fundamental aspects of Merleau-Ponty’s thought, including his philosophy of perception and intentionality; the role of the body in perception; freedom and our relation to others; history and culture; and art, particularly the paintings of Cézanne. A final chapter considers Merleau-Ponty’s importance today, examining his philosophy in light of recent developments in philosophy of mind and cognitive science. This second edition makes use of the new translation of Merleau-Ponty's Phenomenology of Perception, his most important work, highlighting its critique of "objective thought" and the account of constrained freedom that Merleau-Ponty advanced as a foil to Sartre’s notion of radical choice. Including annotated further reading and a glossary of key terms, Merleau-Ponty, Second Edition is essential reading for students of phenomenology, existentialism and twentieth-century philosophy. It is also ideal for anyone in the humanities and social sciences seeking an introduction to Merleau-Ponty’s work. Taylor Carman is Professor of Philosophy at Barnard College, Columbia University, USA.